I needed to check a cert information for a customer with Godaddy and I discovered this page. Godaddy CPanel PHP 2m upload_max_filesize – How To Change. My Joomla install told me the upload_max_filesize is 2M. I changed this in my PHP5.ini file on the server, but this had no effect. I learned later that this takes time to become in effect. 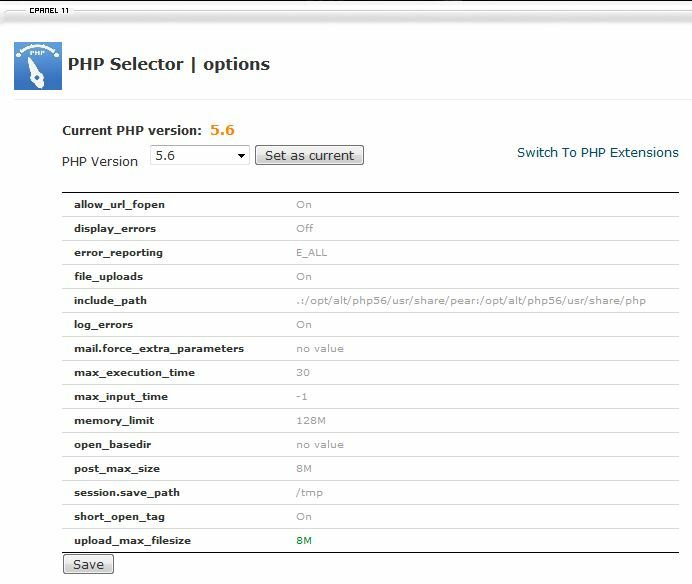 A faster way is to “PHP Selector”. You will see “Switch to PHP Options” in the upper-right. Click on this. Click on the number next to “upload_max_filesize” and change it to what you want. Godaddy said to keep it under a Gig or you will have issues.